The Eagles finish 9-7 and fire Andy Reid. -I’ve been hearing about this guy for a few years now. He’s got great pedigree, he’s had success everywhere he’s been and scouts love him. Smart guy and I think this could be a really good hire. 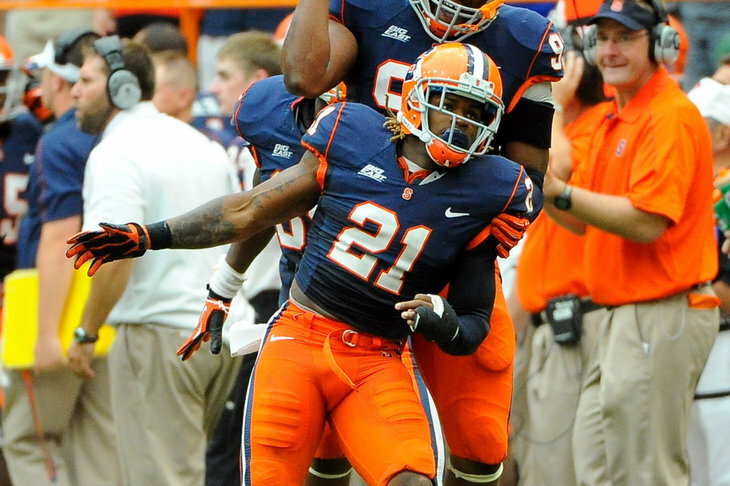 -Nate Hackett is currently the OC at Syracuse where the offense is putting up their best numbers in years. Hackett has their no-huddle offense buzzing around up in upstate New York. But before he was SU’s OC he was an offensive assistant with Jon Gruden and the Tampa Bay Bucs where he worked with Casey Bradley. -Another buzzy hire, Woods has been on the DC watch list for a year or two now and some NFL insiders liken him to Mike Tomlin. Woods has worked with Monte Kiffin, Mike Tomlin and Leslie Frazier so his mentors are top notch. He’s supposed to be an effective communicator who gets the best out of his guys. He doesn’t have a direct connection with Bradley but he’s tied to Bradley through Kiffin and Gruden. -He's been one of the best corners in the league this season, you don't let that leave. -He's the only long snapper I know and trust. He's a comfort food. -Colt Anderson is the best special teams player I've seen, without him our special teams coverage units are completely different. -Michael Vick's play has been subpar the past two seasons. He's had more turnovers than he has touchdowns. And he still can't handle pressure to save his life. Combine his play with his salary and keeping Vick, especially under a new staff, isn't a smart investment. Thankfully, Roseman has structured Vick's contract so that we can cut ties with minimal damage. -You can't leave the huddle because you never know who is going to step in. In Patterson's case, Derek Landri, Fletcher Cox and Cedric Thornton stepped in. Patterson is a good player but he's lost his spot. -Two high paid veterans whose sky high, all-pro type pay doesn't match their play on the field. -Both Bradley and Woods run under front defenses like Jim Johnson which means we're going to need a traditional SLB akin to Chris Gocong and KJ Wright. Paul Kruger is being forced out of his starting spot by Courtney Upshaw and the Ravens let him hit the market. Kruger is most certainly not a dynamic pass rusher but he's a good pass defender and he's a thumper against the run who can set the edge in the run game unlike any linebacker we currently have on the roster. -The Eagles offensive line depth is bad, especially on the interior. 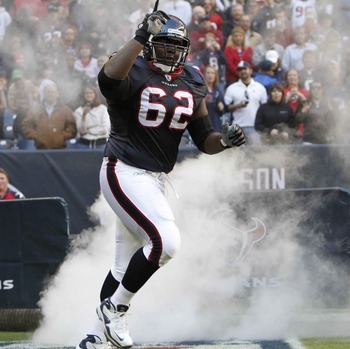 Caldwell has experience in the Texan's zone blocking system but the Texans are moving him out in favor of a younger guy. The Eagles pick him up to compete for a guard spot. He also has center experience in college. -When Bradley ditches the wide nine, the Eagles need to add a more traditional defensive tackle. Ron Brace is stuck behind some really good players in New England but when he sees the field he's played well. Brace is a 6'4" and 340+ pound NT who can clog the middle of the field and protect our linebackers unlike any DL we currently have on the roster. -With Michael Vick being shown the door, the Eagles need a back-up QB to compete with Nick Foles. Colt McCoy is terribly average physically but he's a smart guy and he's the consumate competitor. Personally, I would trust Colt McCoy to take care of the ball and manage a game if Nick Foles were to go down. -Big, physical LT prospect who is good in pass protection and shows dominating talent in the run game. He's got an enormous frame with growth potential. He also plays mean and nasty. Trade: The Eagles trade their 2nd round pick to the Atlanta Falcons for their 2nd round pick and a 4th round pick. -With Bradley and Woods, it's the return of the more traditional LE spot. Bradley runs a scheme in Seattle that has a 330 pound left end. William Gholston is a 6'7" and 280 pound defensive end who flashes dominant talent. He's got loooong arms and violent hands, a combination that has translated well recently in JPP, Aldon Smith and Chandler Jones. He's not like his brother, William Gholston shows the willingness to play through pain, be physical and play mean. -A freak athlete safety who would've been drafted higher if it wasn't for injury concerns. He's a good all around safety with range in the passing game and strength in run support. He hits like a freight train too. Reminiscent of Bob Sanders when he's at his best. -Holloman is currently rated this highly but I think much better of him. He's got the ideal frame you look for in an OLB and he's got ideal athleticism. He plays the JACK spot (a hybrid LB/S) for South Carolina but he translates to LB better in the NFL. He's got long arms and he shows the ability to work blockers and make plays at and behind the line of scrimmage. He also displays the length and athleticism you look for in coverage and he might develop into the sort of hybrid defender you can use to counter the athletic tight ends. -His production isn't the greatest but athletically, he's superb. At 6'5" and 220 pounds he displays fluidity and speed that are normally reserved for smaller players. He is a supreme athletic prospect who displays everything you want from a WR physically, now he just needs to be focused on and polished up. -A short, squatty, powerful college OT who profiles as a guard in the NFL. He displays a good base, long arms and powerful hands and good athletic ability. He's probably going to get drafted higher than this but right now this is where he's at. Similar to Jeff Allen from last year's draft, also out of Illinois who was drafted in the 2nd round. -Burkhead is not a dynamic back but he is going to have a role in the NFL. He's a strong, north-south runner who runs physically, displays good blocking ability and good hands in the passing game. Looks like a good back-up running back who could be a good complimentary runner. -I have no idea how this guy isn't rated higher. He's well coached. He's got good size (5'11" and 195 pounds). He's got good speed (4.4 speed). He's a lockdown corner for Boise State who also makes plays in run support and on the blitz. The guy is super underrated right now. Note: I tried to make the team a little bigger and more physical by shoring up the offensive line and adding some physical pieces up the middle of the defense. Also added a coaching staff with versatile backgrounds that have shown the ability to adjust in their careers and would appear to be able to play our players to their strengths. Some new ideas. I think when you clean up so much cap space, you should also make a splash or two in FA. But overall I can accept it, I'm so so on Kruger and Brace. But the draft is pretty solid. Just the idea of a quick DT playing LE pisses me off. So I don't like your draft. FA is ehhh. William Gholston is a defensive end, he plays both sides of the line at Michigan State. Vernon Gholston is a defensive end, he plays both sides of the line at Michigan State. What I read is that your going to run a Seattle type D. But isn't that Pete Carrol's D? Like he designed it. Bradley has experience in various defensive schemes. In the NFL he's run a Monte Kiffin Tampa 2 defense and Pete's LEO defense. 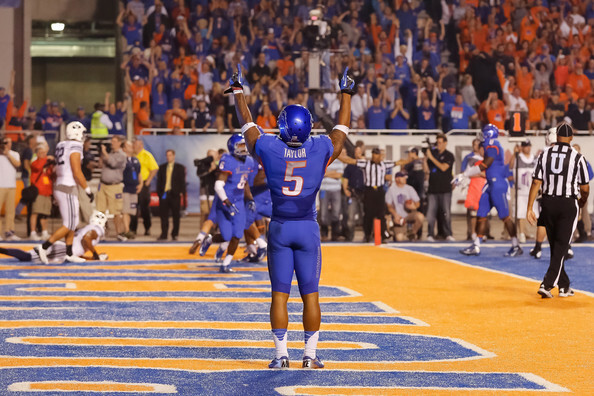 Also I think the reason why the Boise St. CB is so underrated is because of the conference he plays in. Just an idea. I like the draft and free agency. I just dont see Reid being fired. I'll give you a 8.2/10, Very good stuff bud. gholston is my least favorite football player in college. i hate dirty players.